Eaton Visual Capacity Optimization Manager (VCOM) is a data center system optimization platform. 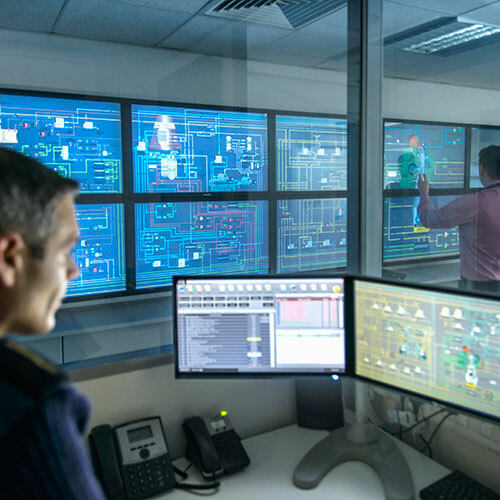 An intuitive, on-premise power management software, Eaton VCOM provides business intelligence by monitoring both IT and facilities power infrastructure. The platform features capabilities designed to reduce data center operational expenses, improve system and application reliability, and mitigate risk using data analysis. Through VCOM, users gain the unique ability to easily track usage, utilization, and capacity limits with the additional advantage of reacting more quickly to address any potential problems or inefficiencies. ITSM integration – Out-of-box integration with ITSM platforms like ServiceNow, Remedy, etc.